I’ve just seen the two-part episode which heralds the return of the series for its run to the finish line. The two halves of the season have had quite a big gap between them, allowing a change of staff behind the scenes and a chance to address some of the many criticisms. What amuses me is that if I go back to September, a lot of what I said about the pilot equally applies to these new episodes… interesting with potential to go either way. The problem is that following the pilot were nine stunningly mediocre episodes, will the next nine episodes be any different? The key factor with this kind of show, is faith in the writers; if you don’t believe that the writers have a plan, if you feel that they’re just making it up as they go along, then what’s the point of paying attention? There’s no joy in looking for clues in early episodes, because the chances are they don’t mean anything, they’re just random cryptic things that will be reverse engineered into a plot at the end. Whereas if you believe the writers know how it’s going to end, have it all mapped out on a piece of paper in a safe somewhere, suddenly everything becomes meaningful, even the red herrings. It means you can talk about the show and try to work it out; it makes it engaging and satisfying. But it’s not good enough to just have a start and an end, there also has to be an idea for to make the story into 22 episodes (or five seasons) without either giving everything away too early, or having massive amounts of pointless padding. FlashForward and Lost both fell into the same problem, there were questions the characters should be asking, but the writers can’t have them ask those questions, because that would give away the answer too soon. So you have to make your characters look dumb and put up with your audience shouting at the television. I like being smarter than other people, but it gets tedious after a while and a slightly worrying comment about the world if I can outwit a crack FBI team. 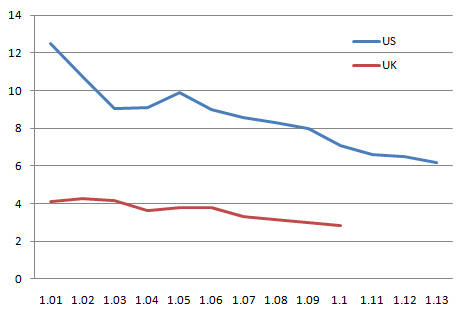 The science and philosophy of the show is also troubled. One of the central questions for the characters has been, are the flashforwards fixed or are they just one possible future? But for me the answer has been obvious all along – the flashforwards cannot possibly come true, because everyone knows exactly when they will be. So now that you know it’s happening, you’ll probably be doing something different. Some of them can still come true, but for people just sitting home watching tv, or doing every day stuff, well that’s not going to happen is it? But no one in the show ever says that! Nor do most of them do obvious things like sell their houses, move country, or cut their hair, it’s pretty trivial to realise that the flashforwards are increasingly invalid. That could raise questions about how maybe by trying to escape your future, you actually cause it to happen. But again, I seem to think more about that than any of the characters or writers do. The big board of clues is a nice McGuffin, and could easily have made the episodes more structured and reliable. Each week would be about studying one of the clues, following it through to find out why it’s on the board, gradually building the solution to the mystery. I can understand why the writers wanted to avoid that, it sounds a bit too procedural/monster-of-the-week, but I really think it would have worked as a structure to hang the story from. Too much of the first half of the season just felt like characters and writers equally just blundering around blindly. I came away from too many episodes feeling that nothing had happened. 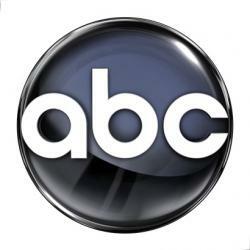 In some ways the mid-season two acts as a second pilot for the series. it makes a real effort to fix things people have complained about. The characters do finally ask and answer some questions, moving the plot forwards, but also highlighting that they should have asked them 10 episodes back and saved a lot of faffing about. There was also a fair amount of “retconning”, i.e. taking what had already been established and wiggling it about until it would fit into their new plan, so characters saying they’d lied, been mistaken, or just plain failed to mention certain things. If that’s it, if the writers have now worked out the plan for the rest of the season, then it could be quite an interesting journey; but if they’re going to need to keep rejigging stuff, well there’s no point in paying attention. 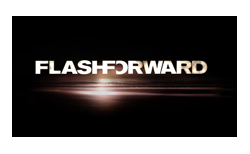 With plummeting ratings (see image) and an unenthusiastic critical response, it’s unlikely FlashForward will be picked up for a second season. If the writers get it right, they could turn it around in the second half to make a really interesting, self-contained single season, which people will remember fondly with only mild disappointment it took so long to get going. If they fall back into their old habits though, it will be remembered as an epic waste of everyone’s time. I’m going to stick with it to the end to see how it turns out and I’m hopeful they’ll rescue it, but I wouldn’t put any money on it. 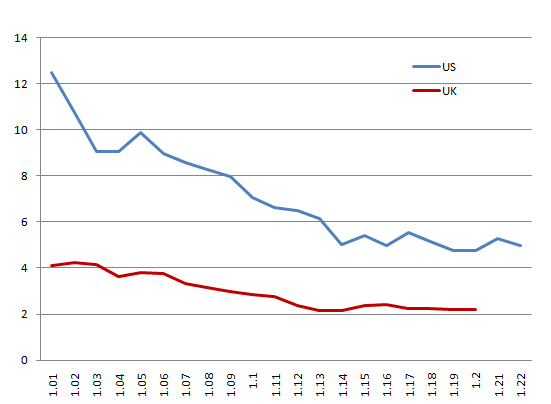 References: US Ratings data from wikipedia, UK from BARB.co.uk.